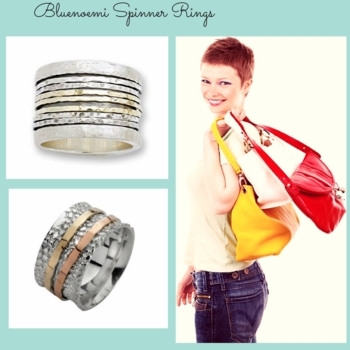 Designer spinner rings from Israel . 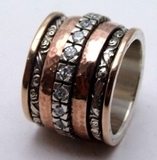 The spinner rings are fully lifetime guaranteed. 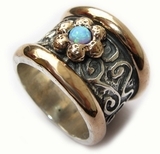 Click the pictures and links bellow. 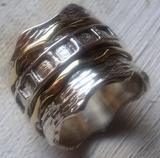 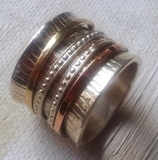 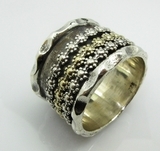 Israeli silver and gold spinner rings. 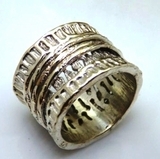 Silver and silver and gold spinner rings or spinning rings are designed in such a way that outer rings spin freely on the inner ring that encircles the finger. 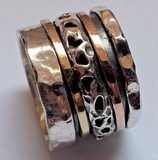 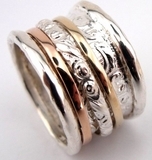 The spinning rings or spinner rings have a few outer decorated bands ! 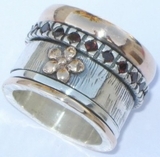 Usually, a wide spinner ring consists of a .925 sterling silver base with silver or 9K gold decorative thinner rings turn around it.